Some of you may know that rather than evaluating a product based on the marketing or brand name, I always prefer to evaluate it on performance. And I recently got to do what possibly is the most scientifically sound test of not one, not two, but SEVEN micellar cleansers, and find out how they really performed! Samples A to G: Which One is the best? After all the results were in, Escentuals tabuaated the results (you can read them in more detail here). The results were released just a few days ago, so I thought now might be a good time for me to incorporate everything into one post for you all. I think this may be the first decent beauty study I've ever been asked to do, so kudos to Escentuals! The 7 samples are put to the test! So, I put all the seven samples to the test. I've also taken some photos of my testing, because I know you guys will want to know what I did in detail. Well, maybe not, but I have photos regardless! 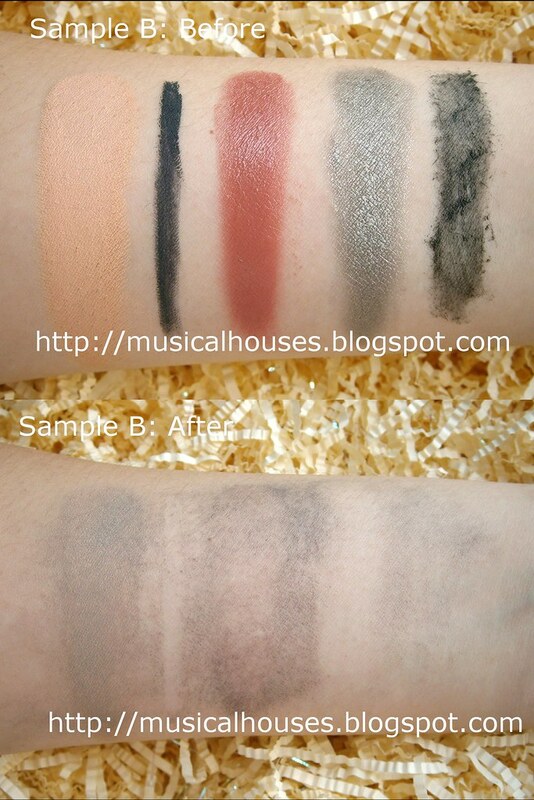 The methodology pictured here was simple - I swatched some of my most waterproof makeup on my arm, and used compared how the cleansing power was for each sample. To be as fair as possible. I used around 12 drops of micellar cleanser each time, and also did my best to ensure that equal amounts of products were swatched each time. I also noted things like the texture of the cleansers, any smells, or aggravation to the skin. 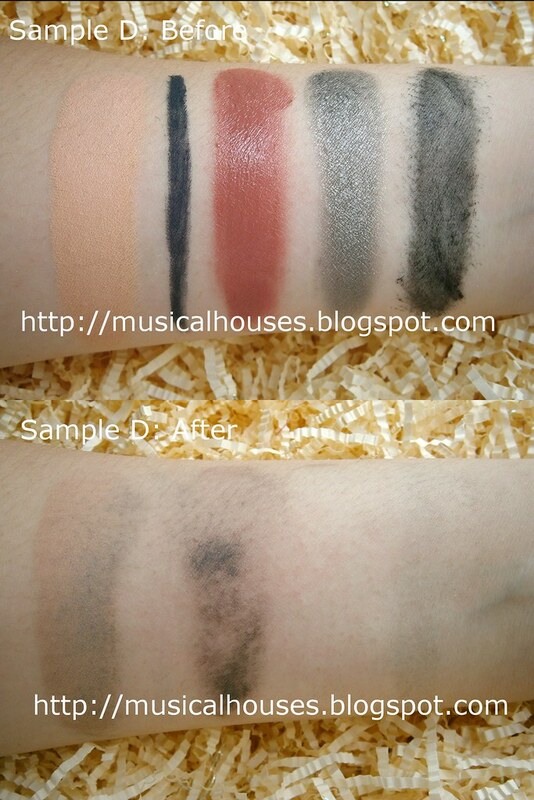 The waterproof makeup I used was (L-R in subsequent photos) Laura Mercier's Secret Camouflage (colour SC-2), Bobbi Brown Gel Eyeliner (shade Indigo), Bobbi Brown Pot Rouge (shade Flushed Pink), Prescriptives Colorscope Creamy Eye Color (shade Smoking Gun), and a waterproof Eyeko Mascara. This one had a slight flowery smell, not unpleasant. It removed my waterproof mascara easily, but the more problematic items were the Bobbi Brown Pot Rouge and Bobbi Brown Gel Eyeliner. Perhaps if I had added more cleanser, it might have removed everything, but I wanted to standardize the amounts of cleanser used. 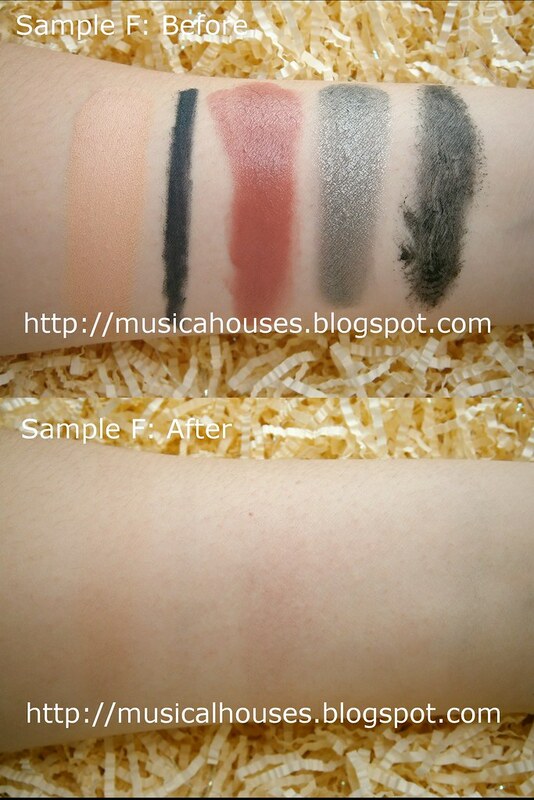 Sample A: Removed mascara easily, but had issues with the cream blush and gel eyeliner. Holy hot mess! This removed my mascara, but had issues with just about everything else! 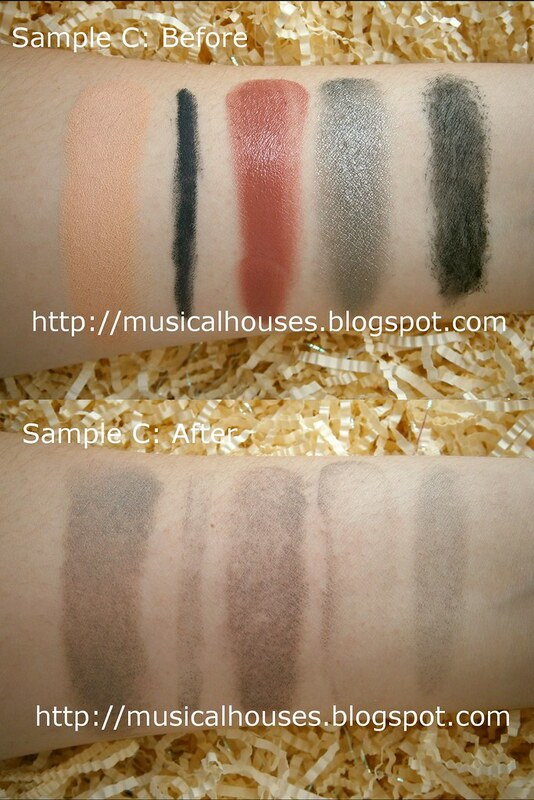 In particular, the ones it had the most trouble with were the Laura Mercier Secret Camouflage, Bobbi Brown Pot Rouge, and Prescriptives cream eyeshadow. Strangely enough, it removed my removed Bobbi Brown Gel Eyeliner. Perhaps I might use this for eye makeup removal, but if it can't remove my cream blush or concealer, then I wouldn't use it for my face. To be sure that it wasn't just a dosing problem, I added more drops, but no dice. There was also a perfume-y smell in this that was okay, but I prefer unscripted products. Sample B: Removes mascara, but had many issues with everything else. Oh my, another one that wasn't that great at makeup removal. Honestly, it sucked. I found this to be worse than B. It looks like it removed a little of everything, but not enough of everything. The good thing about this? It doesn't smell offensive. I get a weaker, milder smell than either A or B. Sample C: Not very effective at makeup removal, unfortunately. This wasn't as bad as Samples B or C, but not as great as Sample A, in my opinion. 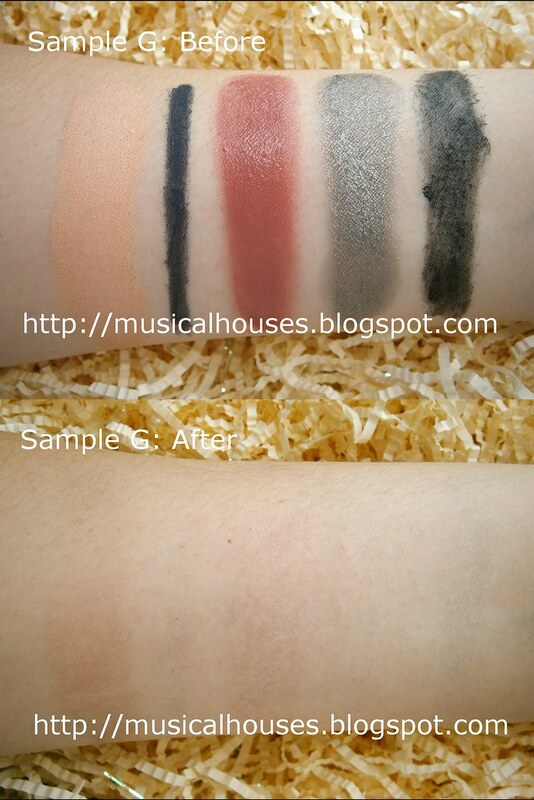 It removed the eye makeup items quite cleanly, removed some of the Bobbi Brown Pot Rouge. It had the most problem with the Secret Camouflauge. 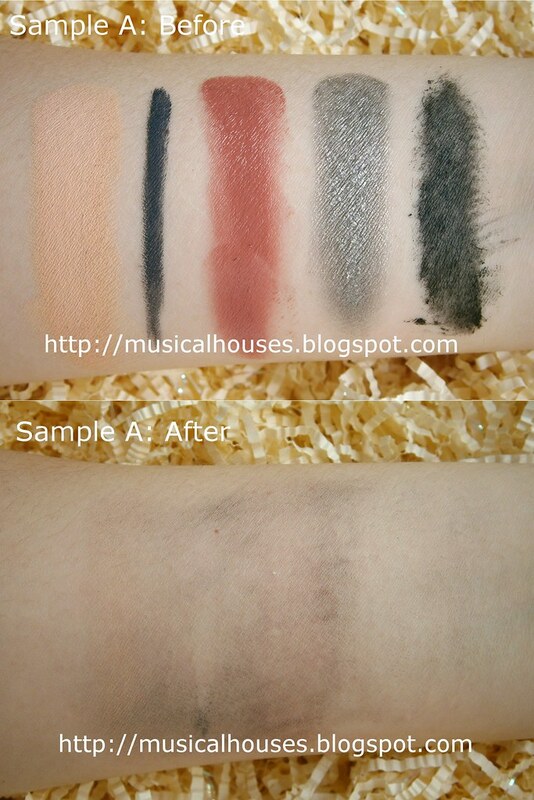 Sample D: Pretty good removall of makeup, with some minute traces left behind. Ahh, just as I was starting to wonder if all micellar cleansers were that weak at removing makeup, I get a really good one! This removed pretty much almost everything. 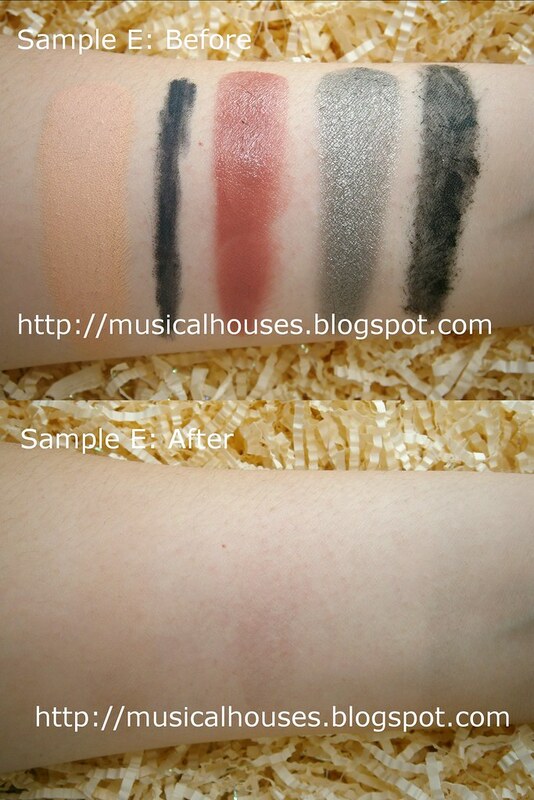 I would rate it as being perhaps just a shade better than Sample A, but just by a teeny tiny bit, so if A was cheaper I might still spring for A. Also, the smell was strong but pleasant, a more powdery, less flowery scent than some of the other samples. 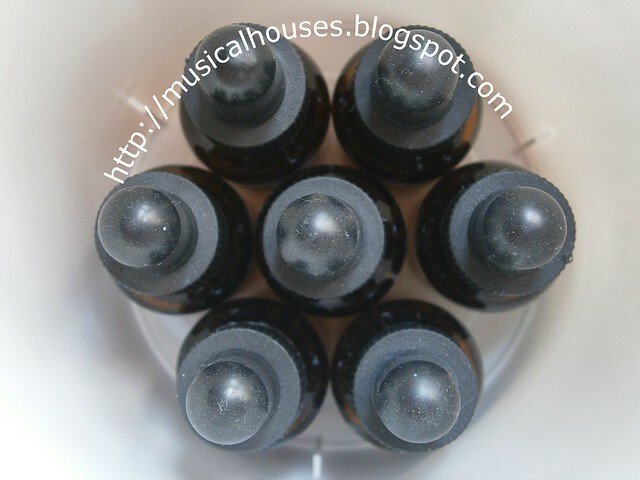 Sample E: Good cleansing power, pleasant scent. Nothing bad to say about this one! After all the floral-smelling waters, I actually liked that there was no smell with this one. Once again, this was also an excellent one. It removed everything. Quick, easy removal of waterproof makeup, no scent, I like this one! Sample F: My favourite - has no scent, and quick yet effective cleansing power! Rounding out the samples is another good one. It does have a flowery smell, but cleanses well. It was perhaps a shade less "clean feeling" than Sample F was, but nevertheless, it was pretty darn good. Sample G: Flowery scent with good cleansing power. Also nothing bad to say here. So those were my experience with the samples. Generally, I like that none of the samples gave me any skin issues (no irritation, redness, or dryness), and most of them were pretty good at removing day-to-day makeup. What I was surprised to see was that there was huge variance in cleansing power when it came to tougher waterproof makeup - some were pretty much almost on par with oil cleansers, while others felt like I was just mucking up my makeup with flower-scented water. And given that all these are famous, high-end brands (Dior, Nuxe, Caudalie, Avene, La Roche-Posay, Bioderma, Vichy - none of these are cheap! ), it just goes to show that not all expensive, high-end stuff performs similarly. So regardless of your makeup type and your skin sensitivities, it is possible to get a good micellar makeup remover that meets your needs. I'd think most of these are good for sensitive skin, so the only key difference is how much cleansing power you need for the makeup you wear everyday. For those looking for a micellar cleanser, I hope this post helps you decide on one! Great review!!! I think I prefer the sample f. I also prefer unscented. I'll def check this one out. Nice id love to see more of these blind tests!! Yay! Finally Avene came up with cleansing water for acne prone skin, sensitive skin. I'm glad we have this in Malaysia. Gonna pick this up once my Haruhada Collagen cleansing water finish. Very helpful review -- thanks! Great review. Not knowing the brand while reviewing is the best way to know which is the best. Awesome job.